The move is seen as a positive signal for the local steel industry. Steel products made by South Korea’s SL Tech has been excluded from the US’ steel tariffs, marking the first case of exemption since the US imposed a quota on Korean steel shipments this May, industry sources said Thursday. The US Commerce Department earlier this week accepted US medical device manufacturer Micro Stamping’s request for a tariff exemption on ultrafine steel tubes imported from Korean steel company SL Tech. Micro Stamping uses ultrafine steel tubes made by SL Tech to produce medical equipment. Korean steelmakers viewed the decision as a positive sign of a higher possibility of tariff exemptions, while remaining cautious over whether the same decision would be applied to steel products used for construction and household appliances. The exclusion comes within a month after Trump agreed to selectively exempt steel products from Korea, Argentina and Brazil, alongside aluminum from Argentina. Instead of slapping its universal 25 percent steel tariffs on Korean products, the US in May placed a limit on the volume of annual steel imports from Korea at 2.68 million tons, about 70 percent the average volume shipped between 2015 and 2017. “The exception is good news if this is a start to more tariff exemptions. 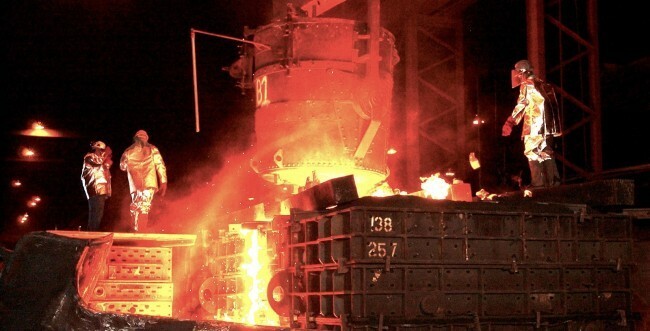 Expectations (of exemption) have been growing in the local steel industry following recent news that the US would review excluding Korean steel products from quota and tariffs,” Bang Min-jin, an analyst at Eugene Investment & Securities covering the steel industry, told The Korea Herald. South Korea’s largest steelmaker Posco, for instance, is currently awaiting a decision on its request through Posco-AAPC on products that meet conditions for exemption. Posco-AAPC is the steelmaker’s automotive steel cutting plant in Alabama that imports electrical steel from Korea to manufacture transformers. Earlier this month, Hyundai Steel’s US office requested the US government for exemptions on cold-rolled coil and automotive steel it imports from Korea, which it supplies to Hyundai Motor’s Alabama plant and Kia Motors’ factory in Georgia. Seah Steel has applied for exclusions of 14 products, including its oil country tubular goods in May, the company said. Dongkuk Steel, which mostly exports galvanized steel sheet and color coated sheet, said it is working with clients in the US to apply for exclusion.